To test a novel intervention to train swallowing to occur in the mid-to-low expiratory phase of quiet breathing to improve swallowing safety and efficiency. Safety and efficacy non-randomized clinical trial with one-month follow-up. Head and neck cancer (HNC) ambulatory clinics. 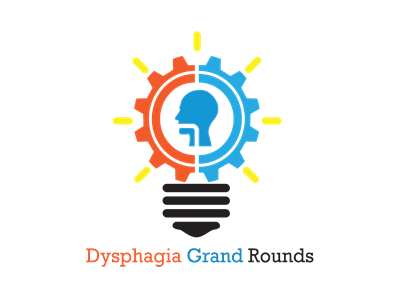 Thirty patients with HNC and chronic dysphagia completed the intervention. Fifteen of these patients participated in a one-month follow-up visit. Training protocol based on hierarchy of motor skill acquisition to encourage autonomous and optimal respiratory-swallowing coordination. Visual feedback of respiratory phase and volume for swallowing initiation was provided by nasal airflow and rib cage/abdomen signals. Using visual feedback, patients were trained to initiate swallows during the mid-expiratory phase of quiet breathing and to continue to expire after swallowing. This optimal phase patterning increased significantly after treatment (p <0.0001). Changes in respiratory-swallowing coordination were associated with improvements in three MBSImP component scores: laryngeal vestibular closure (p = 0.0004), tongue base retraction (p <0.0001), and pharyngeal residue (p = 0.01). Significant improvements were also seen in PAS scores (p <0.0001). Relative to pre-treatment values, patients participating in one-month follow-up had increased optimal phase patterning (p <0.0001), improved laryngeal vestibular closure (p = 0.01), tongue base retraction (p = 0.003), and pharyngeal residue (p = 0.006) MBSImP scores, and improved PAS scores (p <0.0001). Improvements in respiratory-swallowing coordination can be trained using a systematic protocol and respiratory phase-lung volume related biofeedback in patients with HNC and chronic dysphagia, with favorable effects on airway protection and bolus clearance. 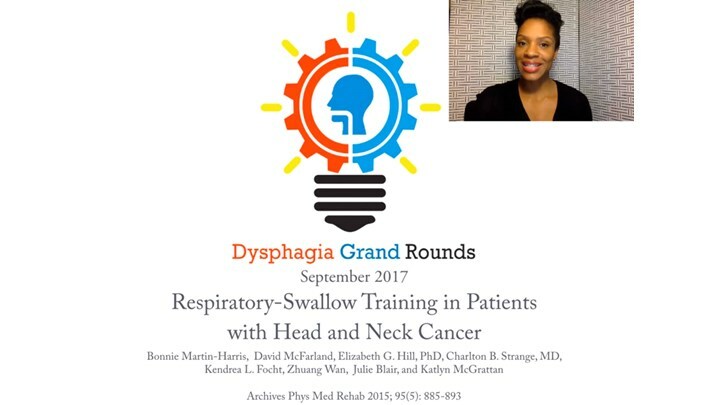 In this webinar, Dr. Ianessa Humbert reviews a feasibility and efficacy study that tested the ability to train optimal respiratory-swallow phase patterning in patients with chronic dysphagia. SLP Rinki Varindani Desai discusses the clinical implications of this study at the end of the webinar.